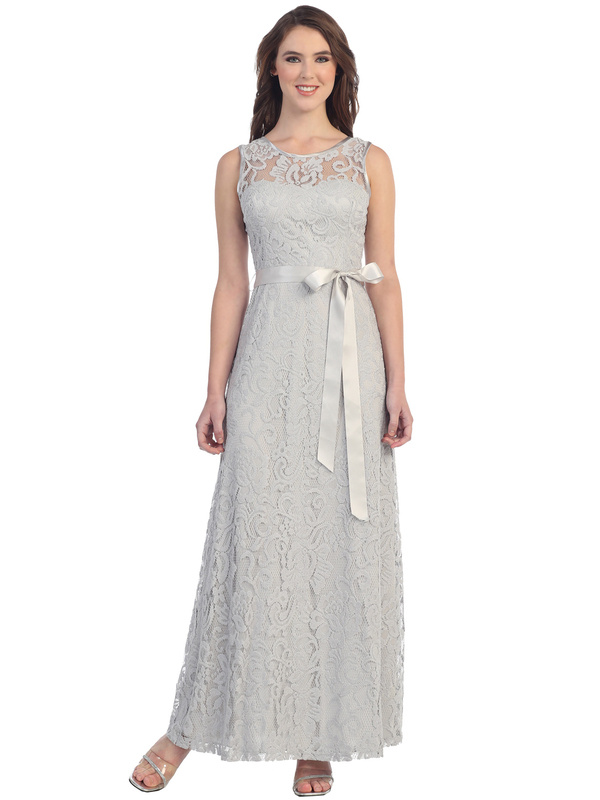 Sleeveless Lace Overlay Long Evening Dress | Sung Boutique L.A. Simple yet elegant long evening dress features lace overlay long dress with satin trim the neckline and sleeve. Satin sash details the waist. Floor length A-line silhouette completed the look. -Approx. 59 inches from shoulder to hem.